April 10, 2013: Steve Cohen lists his One Beacon Court apartment, which he bought in 2005 for $24 million, for $115 million. This would represent a 379.16% return. The East 58th Street pad is a hike from Central Park and comes with no outdoor space of its own, but it does include 9,000 square feet and servants&apos; quarters. The Big Guy and his people presumably expect it to sell by the end of the month. January 2, 2014: With no bites at the $115 million price tag, Cohen slashes the price to $98 million. It&apos;d only be 308% return but at this price it&apos;ll practically sell itself, the thinking probably went. December 15, 2014: No, seriously, what the f*ck is wrong with you people? Are you trying to hurt him? Well congratulations, you&apos;ve succeeded. Fine. $82 million, who wants it? 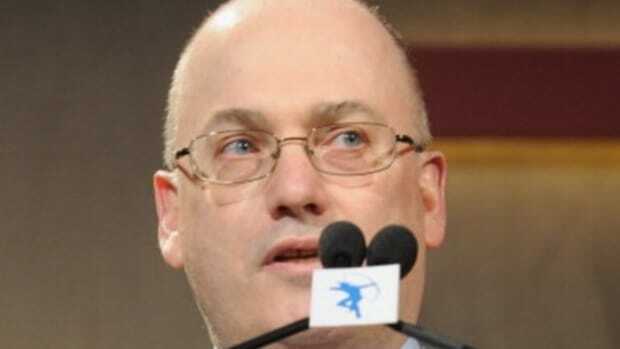 June 2015: IS THE WHOLE WORLD OUT TO GET STEVE COHEN? Sure feels that way. And not just the idiot would-be buyers who take a pass, his brokers too, who he fired and replaced. But it turns out the new guys couldn&apos;t get the job done either. And honestly, Cohen just feels so attacked right now. APARTMENT IS TAKEN OFF THE MARKET. July 2015: You know what? No. F*ck all y&apos;all. The penthouse is back, now listed for a trifling $79 million, and who can&apos;t afford that? You want Steve to personally give the tours? Fine. You want him to have the smell of cookies wafting through the place when you walk in? Done. Demo how the bidet works? Get under the covers and show what a great night&apos;s sleep you&apos;ll get in the tranquil master bedroom? Whip up some eggs on the Viking range? If it means you&apos;ll make a serious offer, HE&apos;LL DO IT ALL. Just when it looked like fabulously wealthy hedge fund mogul Steven Cohen had given up on selling his uber luxe Midtown penthouse, he’s back at it again. The embattled billionaire has relisted his One Beacon Court apartment for $79 million, a whopping $36 million less than he first listed it for in 2013, the Daily News has learned. The unit has been on and off the market several times since then with different brokers and has undergone numerous price cuts much to the chagrin of the finance mogul, who has reportedly been furious that the apartment hasn’t found a buyer.